Hello people! Many of you guys requested a christmas compilation and here it is! I know that I haven't been making many compilations lately because I had some health issues but I am all good again and ready to fully focus on my channel! I picked these tracks and thought they really give off a happy christmas kind of feel. I hope you will enjoy them as much as I do! BIG THANKS to these amazing donors! 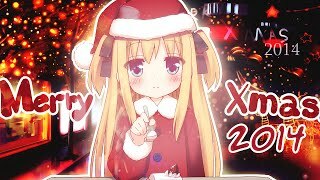 CHRISTMAS SPECIAL 2014 [ELECTRO/HOUSE/DUBSTEP] ヽ( ≧ω≦)ﾉ. Hello people! Many of you guys requested a christmas compilation and here it is!